Q² LeatherCoat is a real milestone in leather trim protection. Resin based, it's an easy to use coating for leather that provides highly durable protection against dirt, water, UV rays but most of all - friction. - Q² Leather Coat is a proper protective product for leather trim. It's not a standard dressing, which typically only helps to refresh the leather, but it is a strong protectant. 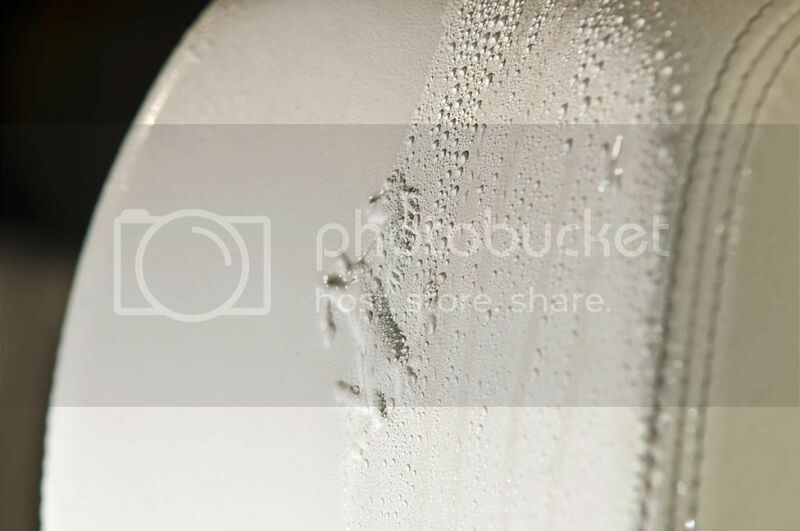 It builds a layer on the upper side of the leather bonding strongly to the surface. At the same time it doesn’t affect the look and feel of soft leather trim. - Only one layer of Q² Leather Coat ensures high level of protection as the coating itself is hydrophobic and repels both liquids and dirt. It also provides strong protection against UV rays, allowing to keep for a long time the freshness of colors even in hot and sunny climates. - As most of modern interior leather trims have a factory matt finish, we made sure that Q² LeatherCoat leaves such effect and at the same time gives enormous color saturation. - Q² LeatherCoat is designed to protect leather trim for a maximal possible time by preventing it from dirt, sweat, salt and fats. Its hydrophobic properties and strong bonding to the surface help to protect against pollutants that may penetrate structure of your trim. Q² LeatherCoat gives also protection against any discoloration resulting upon contact with leather belts, jackets or jeans trousers. - Q² LeatherCoat is very easy to use. Proper surface preparation is crucial to ensure good bonding therefore HQ leather cleaner should be used prior to sealing. We recommend using cleaners which do not contain any natural moisturizing additives, as they could weaken the bonding process. In case it's needed, you can gently wipe the surface with Q²M Prep applied onto a microfiber. The coating process itself requires usage of a microfiber applicator or cloth to apply an even layer, which afterwards needs to be left for at least few hours to dry and bond with the trim. Last edited by Gyeon Jeremy; 23-11-2018 at 12:44 PM. Oh no !!! Not again an awesome product from Gyeon !!!! I don´t want to spend more money.....any idea when it will be released ? As a white leather in the car owner I'd be very interested in this. Is there any negatives/risk or possible reactions with the leather from this? Will it also work on white Alcantara which is part of my seat trim also? Maniac - we've tested the coating in so many ways and on so many types of leather, that we're sure it's 100% safe, no matter what colour you've got. Regarding alcatanra - FabricCoat will be a much better choice, as alcantara is in fact not real leather! Thanks. My seats are 90% nappa leather and 10% alcantara. Both need protecting better from dirt. Will be ordering as soon as PB have it! 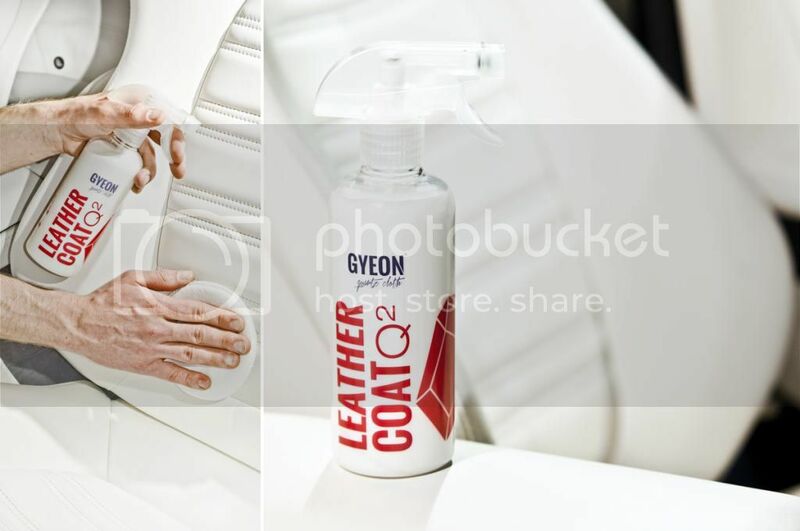 Gyeon Q2 Leather Coat now in stock!